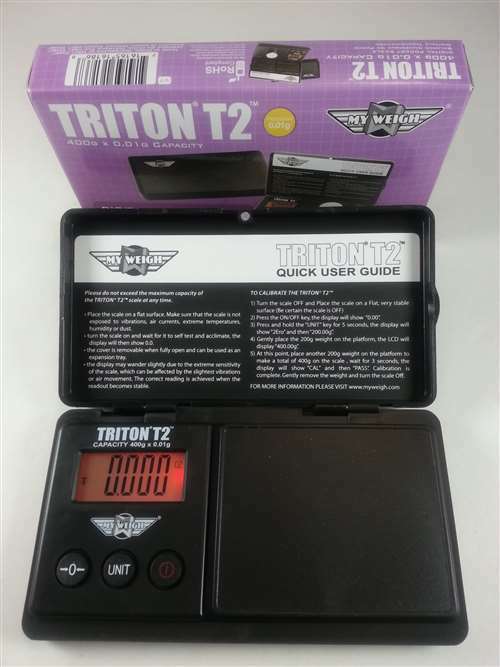 My Weigh Triton T2 400g x 0.01g resolution. Durable pocket scale. Weighs in grams, ounces, 1/4 oz, 1/8 oz, pennyweight, troy ounces, and carats. 30 year warranty.